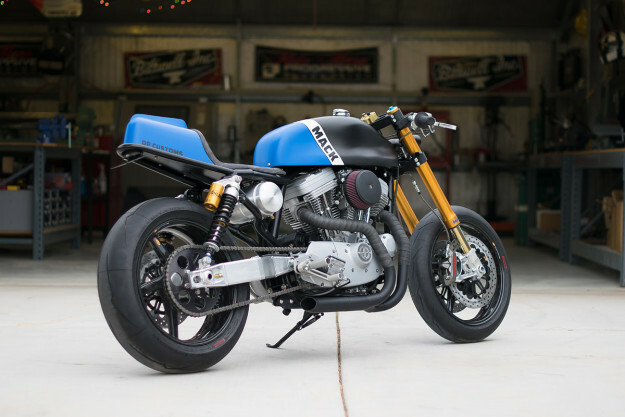 There’s no shortage of builders putting the ‘sport’ back into the Sportster. But if you live in the American Southwest, there’s only one company to call: DP Customs of New River, Arizona. They’re regulars on these pages, and for good reason. 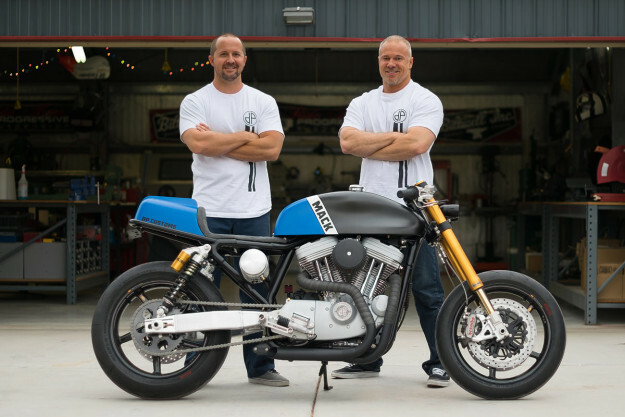 Brothers Jarrod and Justin Del Prado build sharp-looking, high-performance Harleys for a great price. 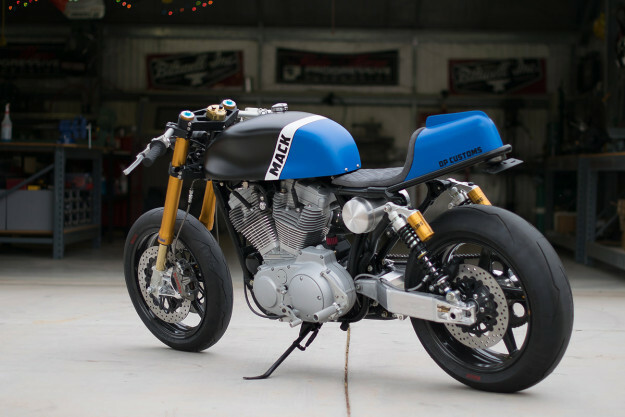 This is their latest, called ‘Mack.’ It’s a 2000-model XL1200 with a hot-rodded motor—and more than a hint of café racer styling. The engine has moved on a little since the day it rolled off the Milwaukee production line. The brothers have treated it to Revolution Performance heads, cylinders and pistons, plus Screamin’ Eagle high lift cams. Capacity is now 1250 cc. and the cases are protected by an ultra-thin, bright aluminum coating more commonly used on firearms. There’s a Dynatek single fire ignition and coil to boost the spark, and the engine now breathes through a 42mm Mikuni carb. 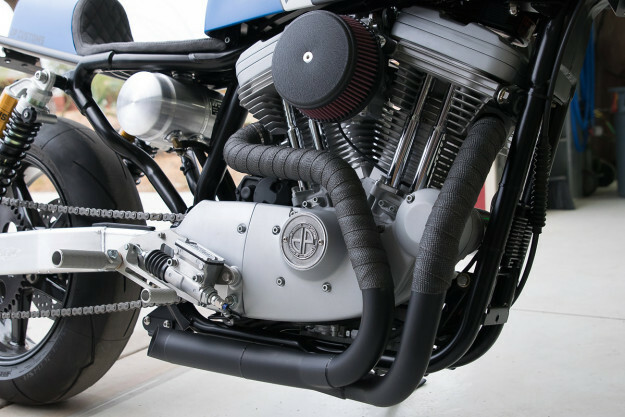 The stubby 2-into-1 exhaust system, hugging the engine contours closely, is hand-fabricated. The rear subframe and tail section is hand-made too, supporting a diamond-stitched seat upholstered in Alcantara fabric. There’s a lightweight Ballistic battery hidden in the tail section. The biggest change is the suspension and geometry: the front is lower than stock and the forks and shocks are from Öhlins. To improve stability, the trail has been increased and a there’s a Scotts steering stabilizer to banish any trace of twitchiness. Increasing power is only half of the performance equation, so the brothers have focused on reducing weight too. 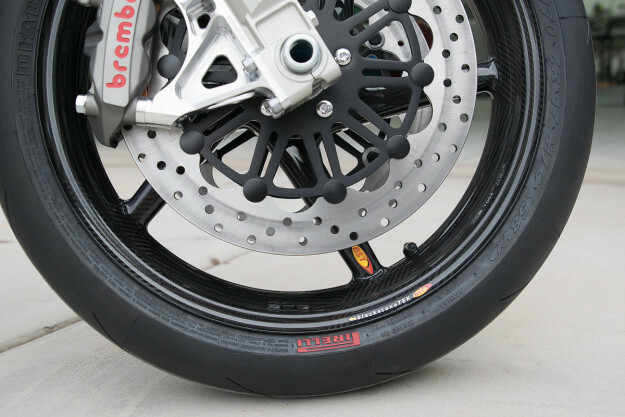 The biggest reduction comes from the carbon fiber BST wheels, now shod with Pirelli Diablo Supercorsa rubber. 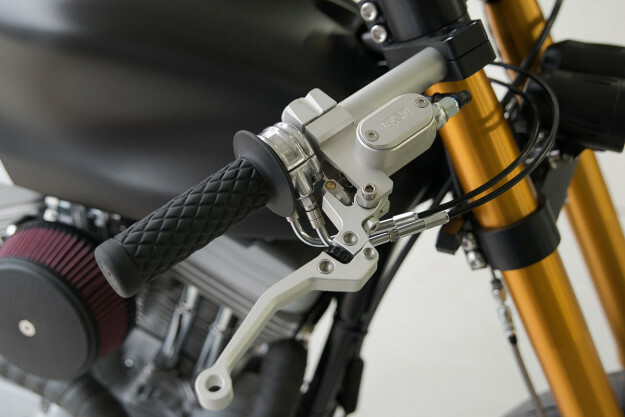 There’s also a lightweight aluminum swing arm, made to the brothers’ specs by drag racing specialist Trac Dynamics. 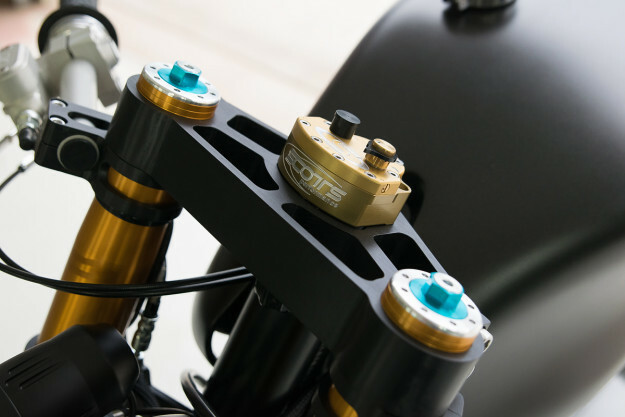 Serious braking power comes from a new Brembo system, hooked up to an ISR master cylinder. The adjustable hand controls and turn signal switches are also by ISR. 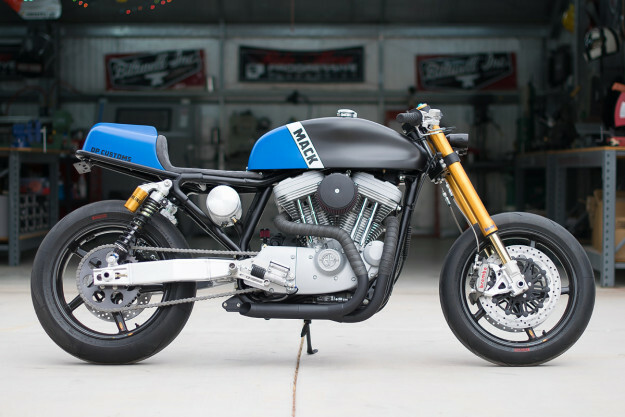 The paint is always a highlight on DP Customs bikes. This time we’ve got a ‘carbon effect’ black, juxtaposed with Porsche’s Voodoo Blue—a shade usually found on the 918 Spyder. On top is a matte clear coat. It’s fine work from Walkers Way Custom Paint of Mesa, Arizona. We bet the reaction was wide-eyed. With tuned V-twin power married to premium sportbike suspension, Mack looks like a helluva ride.